Over the last few years we’ve discovered that much of Arsenal’s history isn’t what it seems. We’ve done this by researching the facts rather than just believing what someone has previously written. What we haven’t done is use this as an excuse just to re-write Arsenal’s history to make it more palatable, if something bad happened then we have no problem admitting this. So, open your minds and throw away those old history books. Did Arsenal really hold an archery tournament to boost the club’s finances? Did Sir Henry Norris call a snap election to get Arsenal promoted to the First Division in 1919? Did Sir Henry Norris bribe the chairmen of other clubs to ensure Arsenal were promoted in 1919? Did Football League chairman, John McKenna, give a speech recommending that clubs vote for Arsenal at the 1919 election? Are Arsenal the only team to be promoted to the top flight of English football not on playing merit? No, Blackburn and Stoke in 1898, Bury and Notts County in 1905, and Chelsea in 1919 were also elected to the top flight. And finally, Sunderland in 1990. Did Henry Norris buy Arsenal in 1910? Did Henry Norris try to merge Woolwich Arsenal with Fulham? Yes, but it was unsuccessful as he had hoped that the merged club could take Arsenal’s place in the First Division but the Football League said they would have to take Fulham’s place in the Second Division. 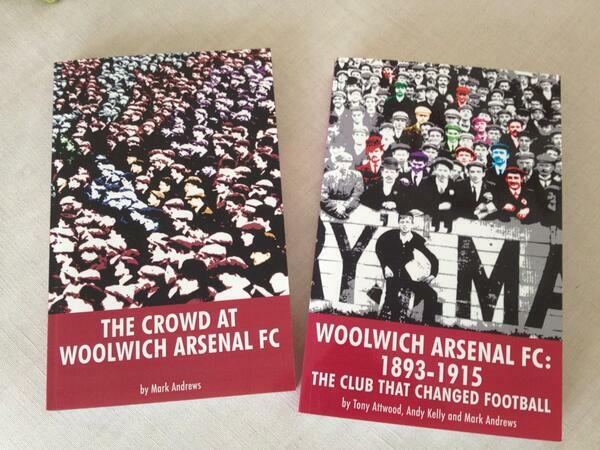 Did Henry Norris try to get Woolwich Arsenal to groundshare with Fulham? Yes, but Arsenal chairman George Leavey refused to sanction the move insisting that the club remain in Plumstead while he was on the board. Did Arsenal deliberately lose games in 1927-28 to get Tottenham relegated? Did George Elcoat manage Arsenal? Did Sam Hollis manage Arsenal? Did Arsenal finish 5th or 6th at the end of the 1914-15 season? Did Eddie Hapgood succeed Tom Parker as Arsenal captain and lead the team to glory throughout the 1930s? Was Gillespie Road underground station renamed Arsenal on 5 November 1932? Did fans of Oporto build a monument to commemorate their team beating Arsenal in a friendly in 1948? Did Arsenal change their name from Royal Arsenal to Woolwich Arsenal when they turned professional in 1891? Were Arsenal elected to the Football League in 1893 as an afterthought following the resignation of other clubs? Is Tony Adams Arsenal’s youngest ever captain? Did Arsenal programme editor Harry Homer come up with Arsenal’s motto – Victoria Concordia Crescit? Did Herbert Chapman really drop “The” from The Arsenal? Did Herbert Chapman instigate the tradition of all members of the Arsenal team wearing the same length sleeves? No. Arsenal never had a short-sleeved kit option until 1957, 23 years after Chapman’s death. Did John Lukic survive the Munich air crash in 1958? No. This was a popular trivia question in the late 1990s. Someone found out that a woman who survived the crash had the name Lukic and told everyone it was John’s mother who was pregnant with him at the time. John has confirmed that it wasn’t his mother. There was also a 22 month gap between the air crash and John’s birth. Was Arsenal Chairman Sir Henry Norris banned from football in 1929? Was Arsenal’s ground closed due to crowd trouble? We’re Robert Buist and Peter Connolly offered professional contracts by Derby in 1891, proving to be the catalyst for Royal Arsenal turning professional? 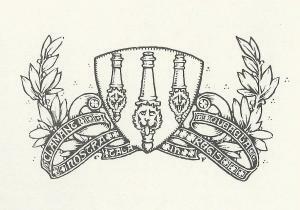 Was this Arsenal’s first crest, adopted around 1888? Is it true that Arsenal have never been relegated?